I don't only get a cute pair of flats but I got to help someone out too! use code: ShareToms for $5 off your order! okay I think I may be pretty lame. Want to share this on my FB page but can't find a share button anywhere...I am I just blind?! omg, we are totally in the same boat. i used to hate TOMS because they were just plain ugly in my opinion but the flats are adorable and I couldn't resist the pink suede. Almost went with the gray too but changed my mind at the last minute. Wish I'd seen that coupon code! I didn't love the look of the Toms either but once I bought them I was sold. They are so comfy! And the style grew on me. :) I love these ballet flats. Good choice! I'm going to keep my eyes peeled for a sale! CUTE!! 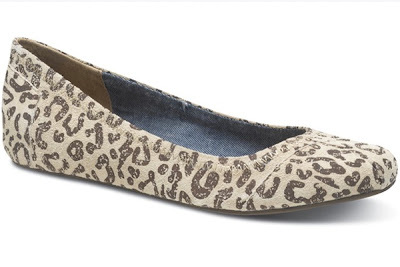 I didn't even know TOMS was making flats now. Tempting...!! I didn't like the original TOMS style either, but I love the look of these flats! I would love it if you did a follow up post when you've had them for a bit, to let us know how you like them!